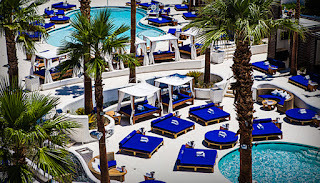 To promote their new DoubleTree by Hilton Tropicana Las Vegas hotel, Hilton Hotels started a sweepstake whereby each month in March and April one lucky winner will receive 1 000 000 HHonors points. Open to legal resident of US and Canada only, for registration until 22 April 2013. No purchase required. All you have to do is to login with your HHonors membership numer on the promotion page (or, if you do not have an account yet, create one for free).